Bernhard Debatin, born in 1957, has been Professor of Multimedia Policy at the School of Journalism at Ohio University in Athens (Ohio, USA), Director of the Institute for Applied and Professional Ethics, and Director of the Honors Tutorial Program in Journalism since 2001. 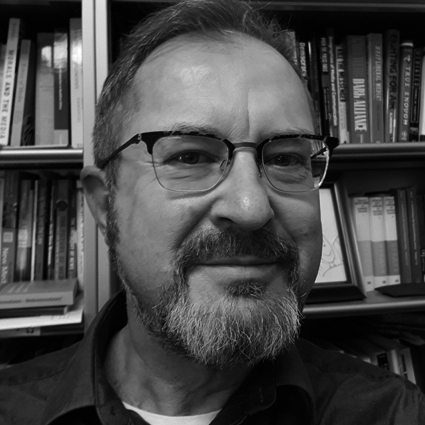 His teaching and research interests include journalism ethics; media and technology; science and environmental journalism; online media; semiotics; and qualitative research methods. He is the author or publisher of eight academic works and has published more than 80 articles in academic journals and books. Before moving to Ohio, he worked as a university lecturer in Media Ethics at the University of Leipzig from 1996 to 2001, before which he was a guest professor at the Universität der Künste in Berlin for many years. He also taught at the Freie Universität Berlin and TU Berlin, where he completed his doctorate in 1994 with a thesis on metaphor theory in philosophy.